A number of our members give courses and workshops either from their own studios or travelling to different venues throughout the country. If you would like to be featured on this page, please get in touch – hello@weavespindye.ie. Sandra Coote – Crafts of Ireland : runs wool spinning classes from her studio in Cavan, are located on the Cavan Meath border beside Oldcastle. She has just successfully completed the AGWSD Foundation Certificate in Wool Spinning and gained a distinction. She now intend to apply to complete the Advanced Certificate. 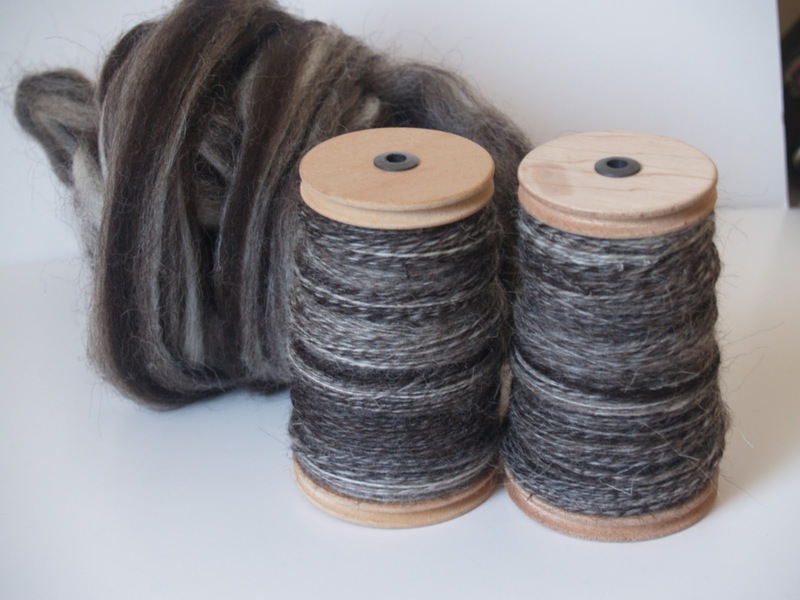 She uses all locally produced wool that she has scoured and has all the equipment required to spin available, a large selection of wheels, hand carders, a drum carder and traditional English long wool combs. Classes are held in a warm comfortable studio and food can be included for full day lessons. Mary Cuthbert teaches tapestry weaving in Dublin 16. Contact 087 2340514. Mary O’Rourke teaches natural dyeing, spinning, weaving, and felting. For Dublin courses, phone 01 4526694. Mary also teaches in Kilkenny; for these courses, see here. Aine Dunne teaches hand spinning and tapestry weaving. Details are available on her website here. Beth Moran teaches basic weaving, spinning, and natural dyeing. Details are available here. Mary Shiels teaches spinning, four shaft weaving, tapestry weaving, vegetable dyeing, and chemical dyeing. Will travel around Ireland to teach at prearranged venues. Contact 051 292479, flyweave@iol.ie. Muriel Beckett teaches weaving. Contact details here. Course dates are organized by demand four days, 10 am to 4 pm daily. Course length and times can be tailored to suit needs. Muriel is a professional weaver, known for her colourful floor rugs and tapestries. Also a qualified teacher, she has extensive experience mainly at third level with FAS, NCAS, DLCAD and currently at Stewarts Hospital. The course includes planning and designing a project, making a warp, setting up a loom, weaving and finishing plus information on yarns, patterns and equipment.